No it's not snowing just yet - in fact, we're still having 100 plus temperatures!!! To cool things off a bit around here I thought I'd get a little snowy feeling in the air. The layout for this is from Diva Coffee Break Designs - such a fun sketch! Of course, I just HAD to use some Baja Breeze on it. I've been hoarding it for so long and now I don't have to anymore, but still do!!! Go figure. I stamped this image (To You and Yours from SU) with Baja Breeze ink and SU markers. To complete this snowy/"wintery" feel, I added some glitter to the top of the house and the little snow swirls. The snowflake was made using a MS punch and then I added a little pearl in the center. Totally Gorjuss, Creative Cottage Challenge, and Christmas Card Challenges. Sadie, one of my little granddaughters, is turning 4 in a couple of weeks and she explained to me that the theme of her upcoming party will be "unicorns". She said EVERYTHING had to be about unicorns this year!!!! Thank goodness I had this stamp set from SU called Pony Party that comes with the wings and unicorn horn (among other things). The layout is from SCS Card Sketches this week. I used Pretty in Pink, Certainly Celery, white, and some SU DP. LOTS of shine here too since I used Creative Inspiration paints and what felt like a ton of glitter. To top it off I placed some of those tiny, tiny pearls around the oval punched sentiment. This cute little monkey fishing out of his inner tube is from Designed2Delight and isn't he just a cutie! When I was making the card I kept trying to think of what occasion it would be good for and I finally decided he'd make a cute little Valentine's Day card.....on the inside I put, "You're a Keeper"! And then, of course, Happy Valentine's Day. I probably came up with that brilliant idea after seeing all the red on this! LOL! I love to fish, but have just never wanted to try the fishing in the inner tube thing. Alot of people do - but all I can think of is that there are just too many unknowns under there that could nibble on my feet! This is for the progressive challenge at Designed2Delight. It's also for Aly's Sunday Challenge. The theme for this challenge to Get Dotty..........and there are alot of dots on this card! I colored this little guy with Copic and SU markers. The sentiment is from Outdoor Thoughts by CTMH. Oh, and I used some Creative Inspirations paint on the dots on the inner tube to give it a little shine. How about a little Mojo Coffee Break!! If you don't know what I'm talking about, well.......this card is for two challenges......Mojo Monday and Diva Coffee Break Designs. The sketch is from Mojo Monday and those colors.......WHEW......are from Diva Coffee Break Designs. I really, really, worried about putting these colors (Old Olive, Daffodil Delight, Tangerine Tango, and Rich Razzleberry) together, but somehow they actually looked good! Now, the problem was I didn't have any Rich Razzleberry - or anything that I thought was pretty close! The best I could come up with was Purely Pomegranate. If you look at it from a distance it sorta looks like the Rich Razzleberry. I guess you just have to use your imagination!!!! The images are from Great Friend and the sentiment from Teeny Tiny Wishes (SU). I added two little pearls at the end of the sentiment and really liked that look. I embossed the white background with the Birds and Swirls embossing folder. 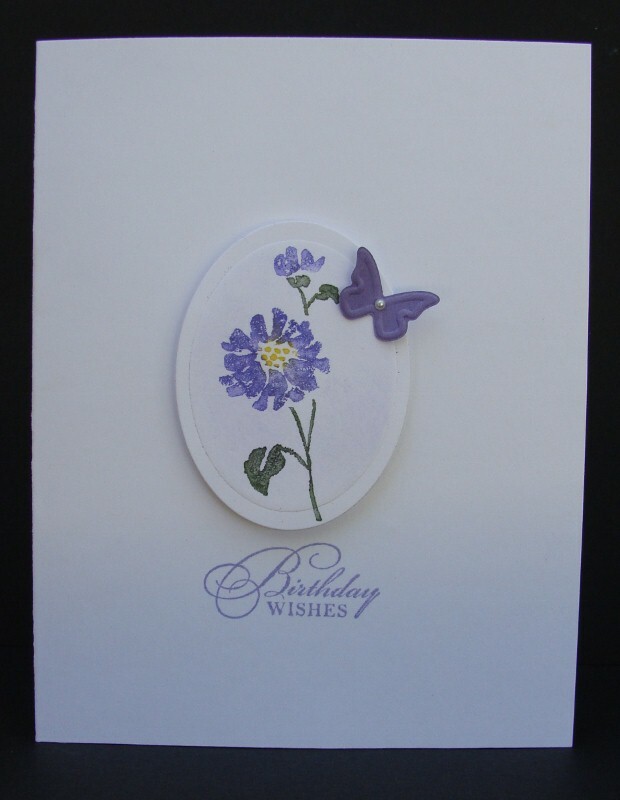 This card is using a digi image from Sew Many Cards. Go check their store out as they have so many cute images. Oh, they also have a challenge site here that you may want to look at too. This is for the Stamps R Us Challenges blog. All you have to do is have some type of stitching (or even fake stitching) on your card. How easy is that! AND, the winner will receive some free images from Sew Many Cards!!!!! The name of this image is Owen with Roses and I colored him with Copics and SU markers. I actually did stitching around the patterned paper but think maybe I needed a longer stitch for it to show up better. The sentiment is Oval All from SU and was punched out with SU punches. This will go in the box that I'll be sending to OWH. When I made it I thought it would just be the perfect card for some serviceman to send home to a loved one. I made it back from my trip.......and immediately got sick with the "Super Crud"! Don't really know what else you can call this mess - you know, like head cold, achy feeling, just generally UCK! But anyway, I did get to see the grandchildren so that was fun. No tricks here......just a couple of "treats"! I've never posted two cards at the same time. I mean, hey, I'm probably doing good to get one posted!!! I made these two little Halloween cards and thought, "why not just post both since they're so similar"? I used the same image (Mo's Digital Pencil) and the same layout but changed up the paper and the sentiments a bit. I added a little glitter to the hat and also the cats cloak. I make quite a few Halloween cards each year - mainly for the grandchildren - and I have to tell you......Halloween is my LEAST favorite time of the year!!!!!! I do like to make cards for this though since I like using the orange, purple, green, black, etc. color combinations. This is a birthday card for one of the guys in the family. I'm still really not sure if I like it or not though. It just really looked alot better in my mind! I used Cherry Cobbler, Kraft, and Very Vanilla card stock. The image is Yeehaw from CTMH. Nothing special here but I thought it was a very different and fun type layout. The sketch is from a site called Card Positioning Systems. It's not exactly like the sketch but it's my "take" on it anyway. The theme is for the Stamps R Us Challenge blog - masculine type project. Well, I'm going to be leaving town again tomorrow and will be back on Saturday. Going to see my daughter and son-in-law (and of course, the two granddaughters). Other than the long, long, trip it should be fun. Yep, it's almost time for pumpkins and such. I know everyone is probably ready for a little cooler weather too! This cute, cute, image is from Designed2Delight and this is for the progressive challenge. Go check it out! Such fun! The layout is for The Paper Players challenge. The actual layout showed a circle but I substituted a rectangle for that. It's a very basic type layout that you can do so much with and I do love this type of layout! Check this challenge out too! The pumpkins were colored with Copics and SU markers. I'm still practicing on that one. In other words, don't look real close at this and see the awful coloring! I really wanted to try the crayons like Kathy did on her blog (LuckyStamper) but just haven't gotten enough crayons yet. Makes me feel like a kid again buying crayons and I LOVE that feeling!!! Hope everyone is having a wonderful week! This is a layout that Clean and Simple stamping had a week or so ago. I've had it completed for a while but just now getting it posted! This is the first time I've used the Sweet Scoops set from SU and I must say, it does look pretty yummy! The hardest part was trying to determine what "flavors" I wanted! This is an ultra CAS card that I made for CAS79 over at SCS. That nestie is actually an oval and not a circle but for some reason in every picture I took, it comes out looking more like a circle! Oh, well.......I used one of the images from Watercolor Trio and one of the little butterflies from Beautiful Wings die (SU). The oval is popped up on dimensionals. I very lightly used some chalk inside the oval and placed one of those tiny little pearls on the butterfly. As I said, very much an ULTRA CAS card. I'm going out of town for a few days so if I don't comment on your creations, please don't go into a panic! LOL! I'll try to catch up this weekend. I wish I could say I was going somewhere exciting but we're only going to see Jim's sister. She lives very close to the beach but doesn't like to go there - likes to go shopping instead. I can probably handle that! I REALLY struggled with this little baby card. After having to make so many baby and children's card the last few weeks, I swore I would not make another one for at least a month. BUT the free digi from Designed2Delight for the progressive challenge came up and this was the image. After much moaning and groaning, I created yet another baby card. I tried to come up with maybe a Valentine's Day card, but it just wasn't happening........So, you get to see a baby card instead! And I'll already have at least one card made when I get another order for more children and baby cards! This is close to a CASE that I saw on SCS for another image but I just can't remember who had the layout, etc. I used Pretty in Pink, White, and some background paper from Paper Studio. The sentiment is from Whimsical Words (SU). I added little pearls to the bow on the bear (I colored and then cut this out from a different image) and around the scalloped oval punch. The pearls are just the best!!! They are SO very tiny but fit perfect. I just recently got them from SU. There are different sizes but this little ones were just what I needed. Thanks to Kathy over at the Lucky Stamper for this fabulous award!!!!! I was so surprised. How very sweet - no pun intended with the yummy looking cupcakes in the picture! 2. I love being retired - there's not a lot of money involved in that, but I don't guess you can't have everything! 3. I love the fact that I'm at least half way creative - not often, but at least some of the time. The next thing I'm suppose to do is to pass this on to five others. There is just NO WAY I can do that. I try to check blogs every day and I just see so many wonderful creative ladies. I see people that are working and/or have young children and often wonder - How in the world do you have time to be so creative!!! It's just amazing to me. So I will be passing this on to ALL of you fabulous ladies out there - each and every one of you are just so special. Oh, I'm also suppose to show a picture of something I love........I was going to post a picture of my "Getaway", but don't have one right now.....will have to post that later. My "Getaway" is some property we own close to Austin. On the property is a small house overlooking a pond. So peaceful! No television, no phone (except cell for emergency), nice little front porch swing...well you get the picture. I'll post that later. Thanks again, Kathy. 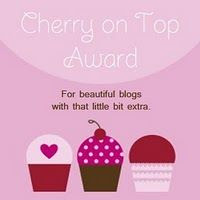 Pay her blog a visit.....not only will you see some super creations, you'll also see precious pictures of Lucky (and now I see a cat photo too)! This card reflects a little cooler weather. The image is from the Countryside set from SU! Such a peaceful image. LOVE the old pickup - it reminds me of one my father had. I used Cherry Cobbler and some textured chocolate brown on this. It's colored with Prismacolor pencils and the background is sponged with Kraft. The buttons are extremely old. Several years ago I bought an old Mason jar in an antique store and it was filled with very old buttons. Some of them are just so different than anything I've ever seen before. I paper pierced the top and bottom (Cherry Cobbler), but you really can't see it in the photo. I think this would make a great "guy" card for Birthday, Father's Day, or just because. This is for Always Playing With Paper challenge - the theme being Vintage and for a challenge at Pals Paper Arts - the theme being Masculine. Vintage, to me, means something very old and rustic looking - I think the pickup and the old buttons qualify. In the pecking order yall are number ONE! Thanks so much for all the sweet comments. They are appreciated so very much! Just a very plain Real Red and Kraft card I made last week. I keep thinking I've made one just like it at some point and time...maybe it's just because I've looked at it all week and hadn't posted it! Anyway, these darling little chicken images (Rubber Stampede) were sent to me "just because" from Susan over at Susan's Day Off Creations. Check out her blog - wonderful creations. She had commented on one of previous posts that had a chicken on it and I had mentioned that the card was going to my sister-in-law since she LOVED chickens (figurines, etc). As a result of that card, she sent me these precious little images. Aren't they just the cutest! AND my sister-in-law will be receiving another card!!! The ribbon was in my stash and I believe the button is from SU. I LOVE snowmen! I love everything about snowmen! In my house at Christmas you will find snowmen ornaments, snowmen globes, snowmen stockings, snowmen figurines....you name it and I think I've got it! HOWEVER, this is my very first snowman card! Yep, sad but true. The reason is that I do not know how to do the shadowing on a snowman....so I've never stamped one! This is a free digi from Designed2Delight and I decided I COULD do this. After printing him out several times and attempting to do the shadowing, etc. on him I finally just decided this is going to be a VERY WHITE snowman-no shadows! But isn't this a cute image with him holding the little heart! The layout for this is from Truly Scrumptious Challenges. Fabulous sketch. I used Brocade Blue (going to miss that one), Bashful Blue, White, and some Paper Studio DP. The snowflakes that are stamped around this little guy were done with a PSX very small snowflake stamp. I also used the Square Lattice embossing folder, Nestie (Labels 1), brads, SU markers, dimensionals, and ribbon. The little heart was stamped and then stamped again and "popped" up. Maybe this little card will cool everyone off with it being so hot outside. We're already up to 99 degrees and it's not even 3:00 p.m.! Yikes! I thought this would be a cute card to send to one of my granddaughters for the summer. Like most little ten year old girls (I guess) she has about 20 pairs of flip flops! Of course, I have a few pairs myself and love wearing them in the summertime. This was actually a sketch I had seen the other day but it just had four squares instead of the three squares and rectangle. Just thought I'd change it up a bit. I never just run ribbon across my card - and I mean never! I always add a bow or something. Again, thought I'd change it up a little. The images for my card are from SU Just Beachy and Warm Words. This is for three different challenges. I'm not real good about looking up all the challenges and seeing what they are but if you'll go to Karen's Feline Playful blog she lists a bunch of the challenges and what they are doing for the week....ie. sketch, color, theme. Anyway, this is for CAS-tastic Wednesday Challenge, (bling), Crafty Creations Challenges (summer) and Shirley's2Girls challenge (summer accessory). Also, just giving a SHOUT-OUT to the Always Playing with Paper challenge - I was again named one of the "Cut Above" last week! Very excited about that!!! This week their theme is "Vintage" so be sure and check it out and play along.